An intake is among the first modifications you should consider for your car. They are inexpensive and give great benefits for the cost. 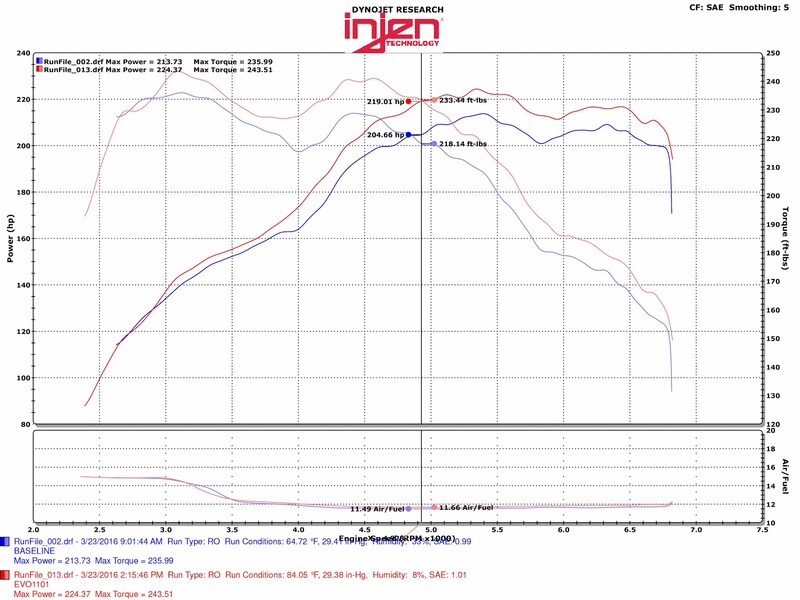 This particular intake was designed and rigorously tested by Injen to outperform the factory intake in every way. 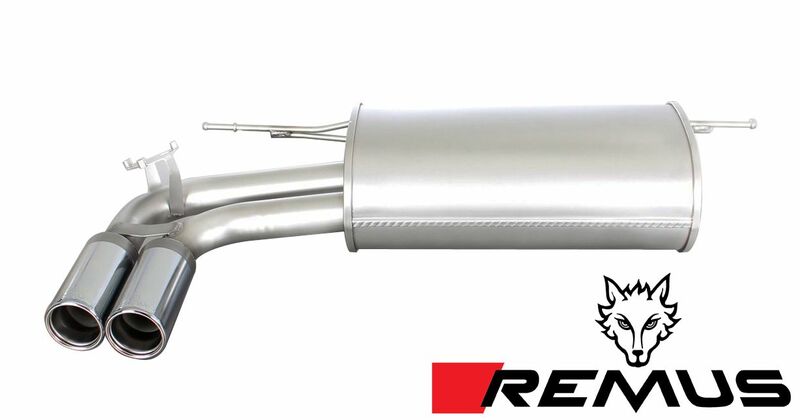 The roto-molded polyethylene tube and high flow super nano-web filter combine to considerably increase airflow over the stock intake. It has been dyno tested and shown to gains of 10 max horsepower and 7 max torque, with peak gains of up to 14HP and 15 lbs/ft of torque in the midrange. This peak gain in the mid range is where you will see the most benefit as it will increase your midrange rpm acceleration, which is the rev range you use most often when driving normally. This sounds all well and good, everyone likes having a little more power at their disposal, but you don't want to buy a product that does not match the quality and styling of your BMW. 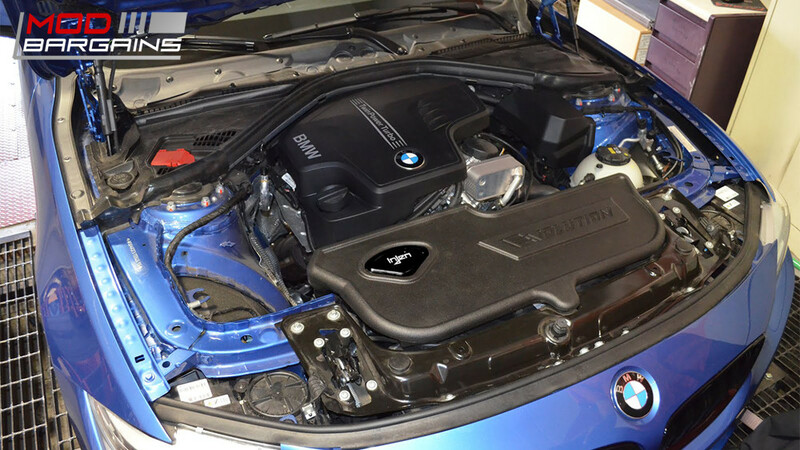 Luckily Injen has gone to great lengths to ensure that their intake does nothing but enhance the look of your car. It features high quality clamps and couplers to maximize durability and a roto-molded polyethylene housing so you don't have to see silicone couplers and band clamps every time you pop the hood. Overall this is a good looking product with great gains at a great price, what's not to like?